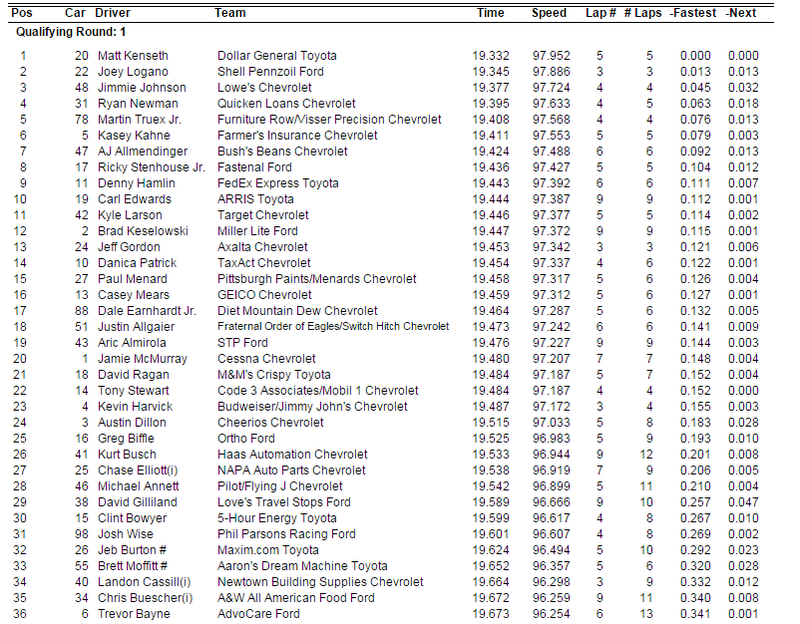 Here are the qualifying results for Sunday’s NASCAR Sprint Cup Series race at the Martinsville Speedway. Regan Smith will be filling in for Kyle Larson Sunday, who fainted Saturday. 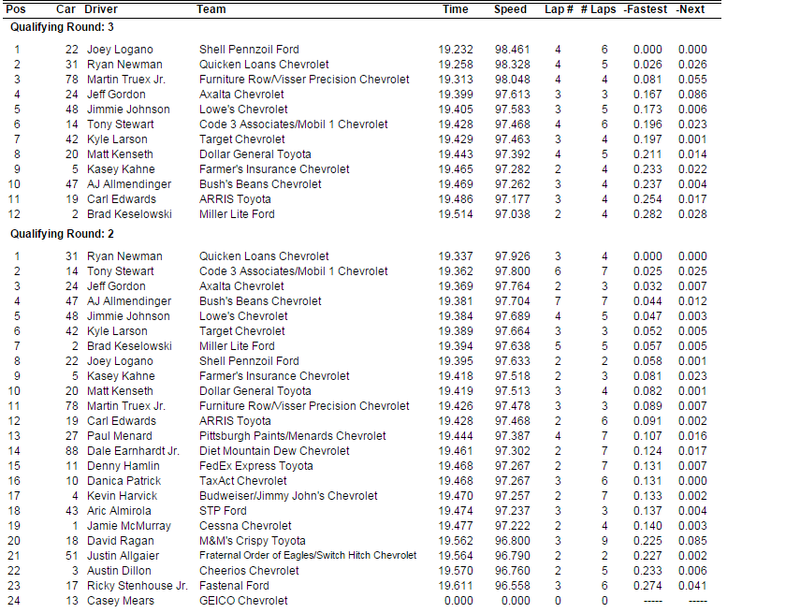 DNQ: #62 Brendan Gaughan; #30 Ron Hornaday Jr.
3. #78 Martin Truex Jr.
14. #88 Dale Earnhardt Jr.
23. #17 Ricky Stenhouse Jr.
38. #9 Sam Hornish Jr.